There was an illustrious devotee in Guruvayur by name Poondhaanam. He was so devoted to the Lord that Lord Guruvayurappan would converse with him everyday. In the same town, there was a person who was afflicted with a grave disease. No medicine could cure his disease and this made him a dejected person. One day, he approached Poondhaanam and told him about his disease. 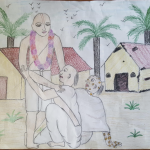 He requested Poondhaanam to ask Sri Guruvayurappan if he would be cured of his disease. 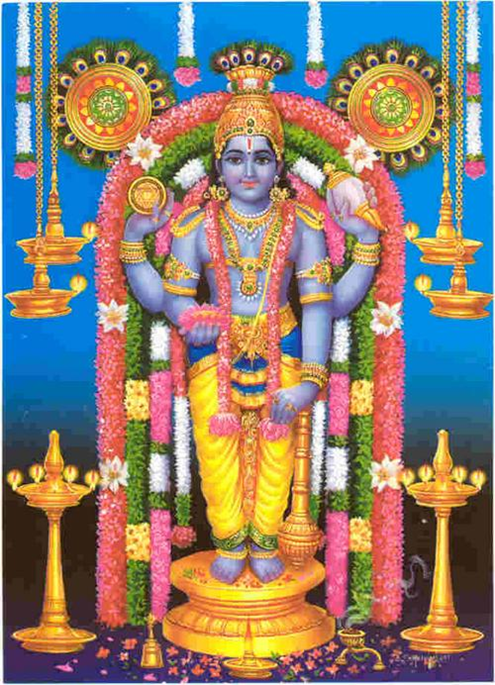 That night, when Poondhanam spoke to Lord Guruvayurappan, he asked the Lord if the person’s disease would be cured. The Lord told Poondhaanam that the disease would not be cured. The next day Poondhaanam met the ailing person and told him what the Lord had said. No sooner did he hear about Lord’s word that he would not be cured than he burst into tears. He cried all day that even the Lord had forsaken him. That was when the man met Kroorammai. 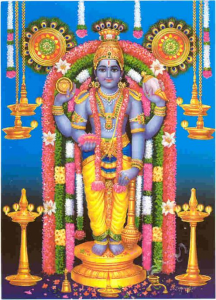 Kroorammai was a very humble devotee of the Lord who hailed from a very poor family. Although she did not have any status in the society, she possessed a special status in Sri Guruvayurappan’s heart. Lord Guruvayurappan would talk to her regularly as He did to Poondhanam. The ailing person’s joy knew no bounds when he heard that he could be cured. He immediately caught hold of the Lord’s instruction and chanted the Names incessantly. As the Lord had predicted, eventually, he was cured. Poondhanam felt very sad on hearing this. He could not bear the allegation that he had lied. He wept to the Lord, “Oh! Guruvayurappa! Was it not you who had told me that he would not be cured? Today, I am being blamed of uttering falsehood. Did I really utter a lie? Is this fair?” He kept crying at the feet of the Lord. Children, what do we learn from this story? God definitely hears everyone of us and answers our wishes when we pray to him sincerely. So, whenever we chant the Divine Names and say our prayers, we should be careful to ask the right thing to the Lord.